I grabbed a copy of COMIC HEROES yesterday. I liked the redesigned cover but, at first glance, I don't think the contents were as strong as some of the issues in the previous run. There seems to have been a decision to shift the emphasis away from screen adaptations onto comics themselves. Presumably Future thinks screen superpowers is now a crowded market with plenty of coverage in the film and genre mags. The rebooted (another number one) Titan British DOCTOR WHO comic is out today. Books to watch for include STAR TREK COSTUMES, X-FILES FAQ, THUNDERBIRDS VAULT, a Jack Kirby Marvel slipcase, a 2000AD/ STARLORD hardback RO-BUSTERS collection, the new DOCTOR WHO MAGAZINE strip collection (which announces EVENINGS EMPIRE as the next volume. Yay), HISTORY OF TV IN 100 SHOWS, 1001 TV SHOWS and I think I picked up a few more too recently. A couple of nice sounding tomes from Titan based on the BATMAN TV show still to come. WHS have new printings of various STAR WARS, MARVEL and DOCTOR WHO hardbacks amongst their Xmas stock. Titan's new US HEROES REBORN comic shipped this week. No sign of the magazine yet but it is promoted on the back cover. MARVEL published a new collected version of CONTEST OF CHAMPIONS this week including some nice bonus bits in the back. FOPP have literally dozens of previously unavailable Empire and Full Moon straight-to-tape flicks in what must be a Halloween promotion. DVDs start at £3 and BR at £5. I filled my boots but only bought a fraction of titles in the promotion. Why did titan reboot the dr who comic to number one again ? Its only reached 7 issues so far. The only book I've seen so far from that list is the Kirby slipcase. However I did pick up the fabulous GHOSTBUSTERS VISUAL HISTORY last week. just saw the ad for dr who comic, its actually volume 2 no 1....Panini do this all the time with their marvel collector editions but you have to wonder why titan switched volumes so soon. Its certainly a value for money title in that we are getting three usa reprints in one uk issue. 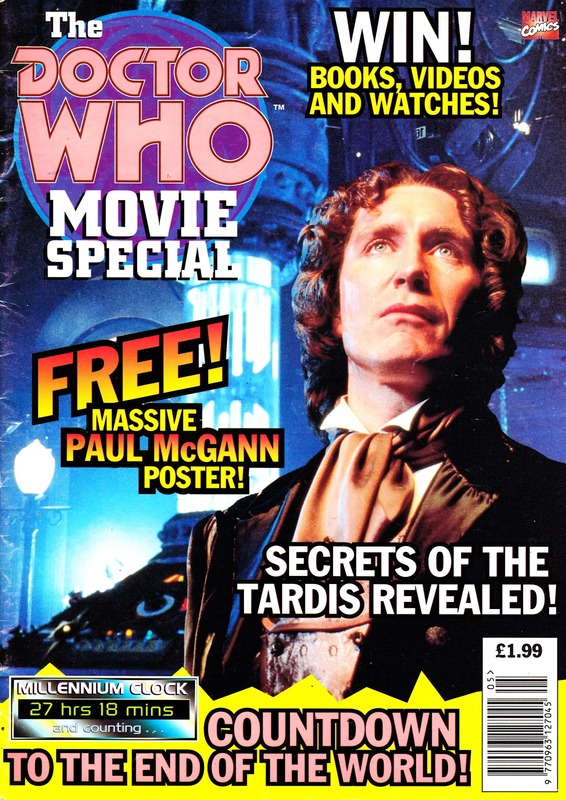 Although its becoming quite hard to keep track of the doctors many incarnations in the usa series , even the paul mcgann doc has been touted for a future run. A bearded Absalom Daak has just re-appeared in the most recent matt smith issue. Hurrah !